When Washington, Jefferson and other leaders were forming the USA. of great vision and holiness. When he was 18, Seraphim entered a monastery. and also read and prayed. Around the monastery there was a forest. Fr. Seraphim built himself a little hut and stayed there a lot. Jesus. Here people would come to seek his advice. Fr. 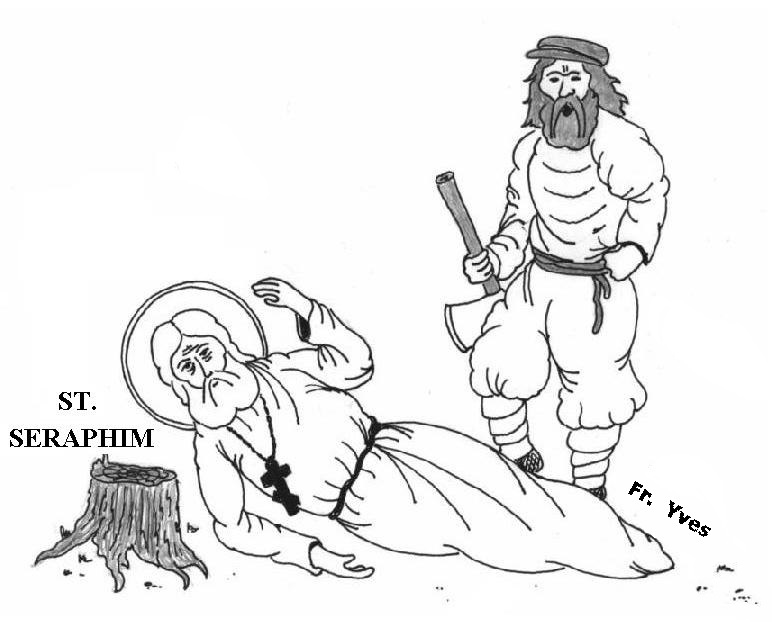 Seraphim: I will chop down this tree, so I can use it for firewood. 1st Man: Hand over your money, monk. Fr. Seraphim: I have none. you, they surely bring you gifts! Fr. Seraphim: I could use this ax to defend myself. But this is not my way. 1st Man: Get up, monk. 2nd Man: Hear, take this and take that. 1st Man: Let's search his hut. 2nd Man: What is this? No money. No food. Nothing of value. 1st Man: We did all this to the monk and still got nothing out of it. 2nd Man: This is not right. Let's get out of here. Fr. Seraphim: I must untie the ropes and get back to the monastery. Monk: Fr. Seraphim, what happened to you? This is terrible. God be merciful. Come brothers and help me. time. He has a dream and sees the Virgin Mary. Virgin Mary: He is one of ours! arrested. They were brought to Fr. Seraphim. Policeman: Fr. 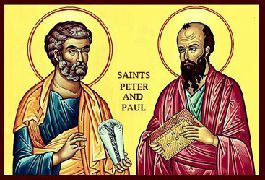 Seraphim, are these the men that robbed and hurt you? Holy Father, forgive us for harming you. Please keep us in your holy prayers.